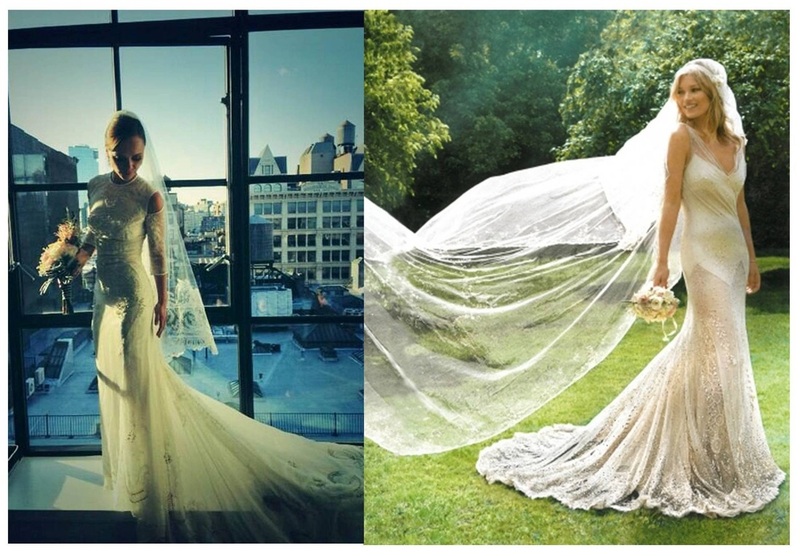 Here we focus on the ultimate and arguably most contentious piece of wedding gear: the veil. Possibly the only day in your life where it is appropriate to wear one, but does that mean you should? A traditional wedding veil can conjure up very old fashioned images of traditional weddings with big puffy dresses, unappetizing buffets and boring speeches and at the mere thought of a wedding veil your mind might automatically jump to a Ms. Havisham scenario; and NO bride wants this look anywhere near their big day. However veils have somewhat come back into fashion, in chicer more refined styles that could perfectly compliment your bridal styling. I know some brides who had an issue with some of the traditional meanings behind wedding veils; as a symbol of modesty and purity or another instance of being presented as a gift to the groom. But honestly I think so many wedding traditions do stem from questionable places and there is no need to deny yourself a veil on these principles; much better to reclaim it for this generation, where all it needs to stand for is a pretty hair accessory that compliments your dress and makes you feel like the bride of your dreams. Also there is an insane amount of veils to choose from! Throw out that old image of net curtains and look to these fabulous celebrities for inspiration. Millie from Made in Chelsea rocked it, managing to look cool and fashionable with a mid-length veil. Kate Moss wore a ‘Juliet Cap’ full length veil lending a romantic, pretty edge to her outfit. Christina Ricci opted for a traditional mid length veil that perfectly ties together her bridal outfit. It seems veils are coming back into wedding vogue and with so many different options to choose from, it isn’t hard to understand why. Take a look at our specially designed Cute Maps pinterest board completely dedicated to this staple piece of wedding fashion. From pretty bird cage styles to full length cathedral creations, your sure to find the right one for you. Alternatively you could opt for a bejewelled headband, flower headpieces, feathered arrangements, hats, fasteners; the list is endless. 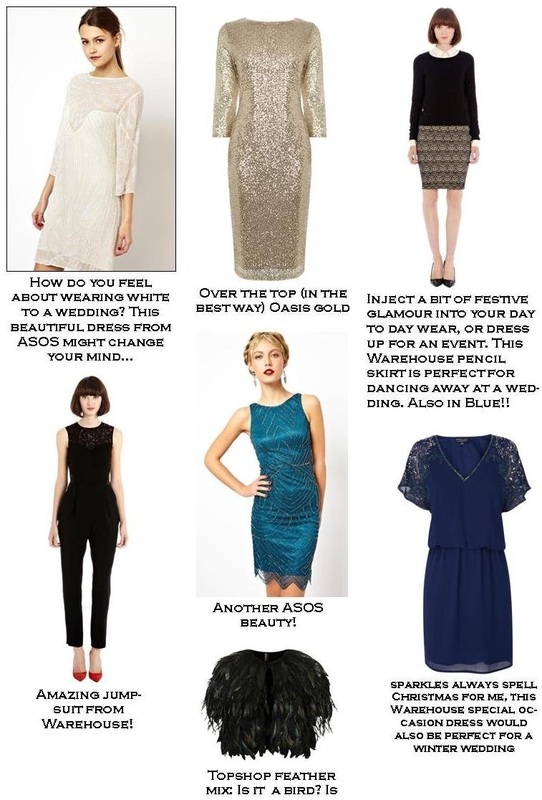 Ultimately it’s like all the wedding day styling decisions; so many options and only one chance to use them. Just have fun, pick what you feel most comfortable in and enjoy it. Hell you could even have multiple head adornments for your big day; I think some of these beauties are just too good to miss. I hope you are all having fantastic festive seasons and are enjoying all the post Christmas relaxing as much as the pre-Christmas partying. There’s still lots of turkey to eat, movies to watch and mulled wine is definitely appropriate until March! (promise). So while you are enjoying this extended nap time, we have another incredible real life wedding to share with you. 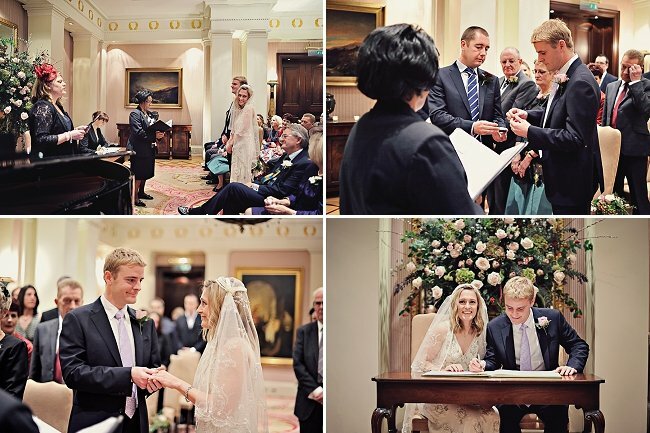 Brendan and Victoria got married in November 2012 and they did it in style. 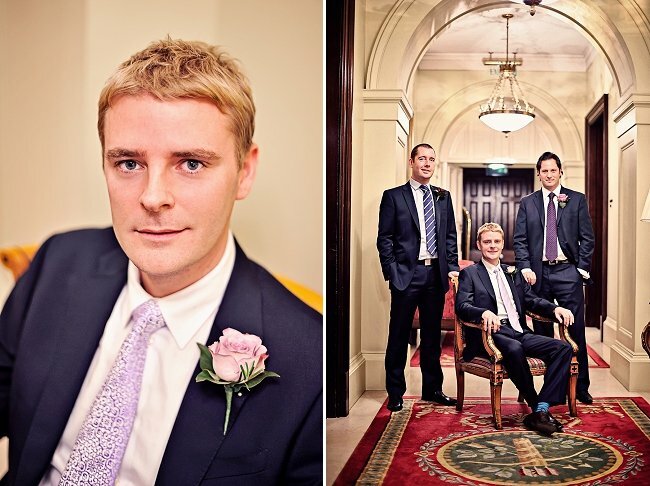 The whole seamless elegance of the day is so apparent, a beautiful occasion captured by the talented Matt Bishop(www.mbishopphotography.co.uk) so curl up on your Christmas couch and have a read. The Proposal: Brenden proposed to Victoria in the Jardin du Luxembourg in Paris on an Easter Break in 2012. We have been to Paris every year since we met so it is a place which holds many happy memories for us both. 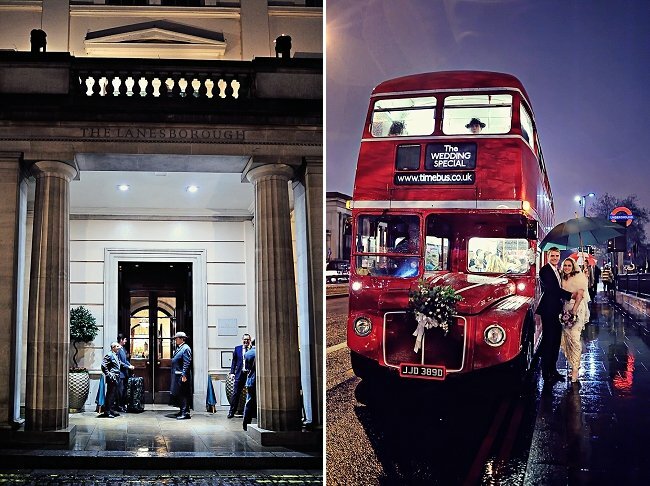 The Venue: Ceremony at The Lanesborough and food at The Bull and Last. We specifically wanted two different styles of venue – somewhere elegant for the ceremony and somewhere relaxing for the evening. Both venues had to meet our high standards of quality for food and drink. The Dress and Accessories: Firenze wedding dress from Phase Eight, I wanted a cream coloured vintage-style dress with embroidery over the dress I accessorised it with Vintage-style earrings and bracelet from Fur Coat No Knickers, Shoes from Manolo Blahnik (bought on my hen weekend in New York), diamond necklace was borrowed from my sister, a silver-jewelled hairpin to wear in the evening when I removed my veil. Music: Brenden chose the songs that the pianist played at The Lanesborough. At the Bull and Last we played Horace Silver (jazz) from an ipod. The flowers: At the Lanesborough in the ceremony room, on every other pew end, there was a small posy of roses tied with cream ribbon. In the reception area there were small silver goblets arranged with roses. These flowers were then carried by friends to the Bull and Last where they were placed in silver tankards to put on the tables at the pub. The Details and Décor: Tea lights on the mantelpiece in the ceremony room and around the statue at The Lanesborough during the drinks/canapé reception. We had a table outside the ceremony room with photos in vintage frames of family weddings and Brenden and Victoria when they were young. Other than that we did not feel that any additional decoration was required as the venues carried themselves perfectly. The Honeymoon: We went on a road trip to California working our way down Highway 1 from San Francisco to LA for a month over Christmas and New Year. Memorable Moments: Brenden’s speech. Standing back from our guests and seeing them all having a good time.Victoria’s father ordering a brandy to calm her nerves before the ceremony and then proceeding to drink most of it himself.What made our day truly special was all the people closest to us in our lives being in one place at the same time helping us to celebrate our wedding. Advice for other couples: Focus on what is important to you when planning your wedding. Do not conform to preconceived notions of what a wedding should or should not entail. Brides outfit: Wedding dress: www.phase-eight.co.uk. Wedding dress alterations:www.deisgneralterations.com. Accessories: Short sleeve marabou cream fur (fake) jacket: Biba at House of Fraser. Earrings, bracelet and vintage compact: www.furcoatnoknickers.co.uk. Shoes: Silver Sedaraby pumps purchased at the Manolo Blahnik store in New York. These can be bought at Liberty in London. Necklace: borrowed from my sister Catherine. Groom’s outfit: www.selfridges.co.uk, Armani at Selfridges. Wedding Map + Information: www.cutemaps.co.uk. Sheree Willis email, info@cutemaps.co.uk. 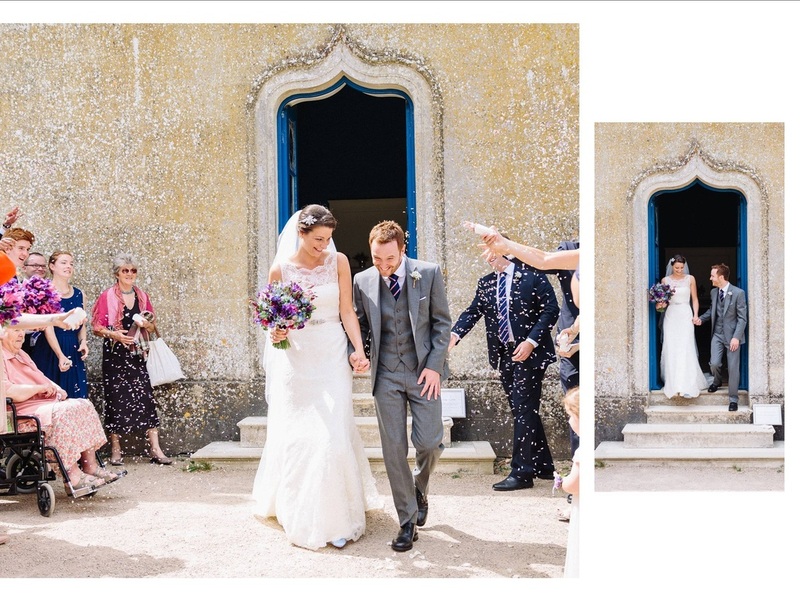 I have an absolutely stunning wedding to share with you today, filled with personal touches, delicious details and a bride and groom that look ridiculously happy throughout! Oonagh and Craig got married in the July of this year in a beautiful ceremony in the Lady Chapel of St. Alban Cathedral near to where they live. 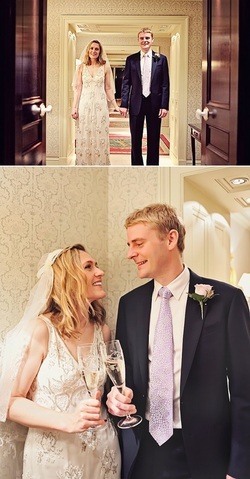 A perfect romantic touch is that now when they hear the cathedral bells ringing they are reminded of their wedding day. The bride and groom look so happy and excited; and this must have been contagious as every guest seems to be having a blast! The occasion has been captured naturally and beautiful by Hannah Mia (of Hannah Mia Photography www.hannamia.com) letting the charm of the day really shine through. The magic of this wedding seems to be in the incredible attention to detail; from a mixed bouquet incorporating thistles and shamrocks to reflect Scottish ad Irish heritage, to an exciting array of music and a delicious barbecue, this day looked fantastic and the Divine Comedy as a first dance song: perfection. 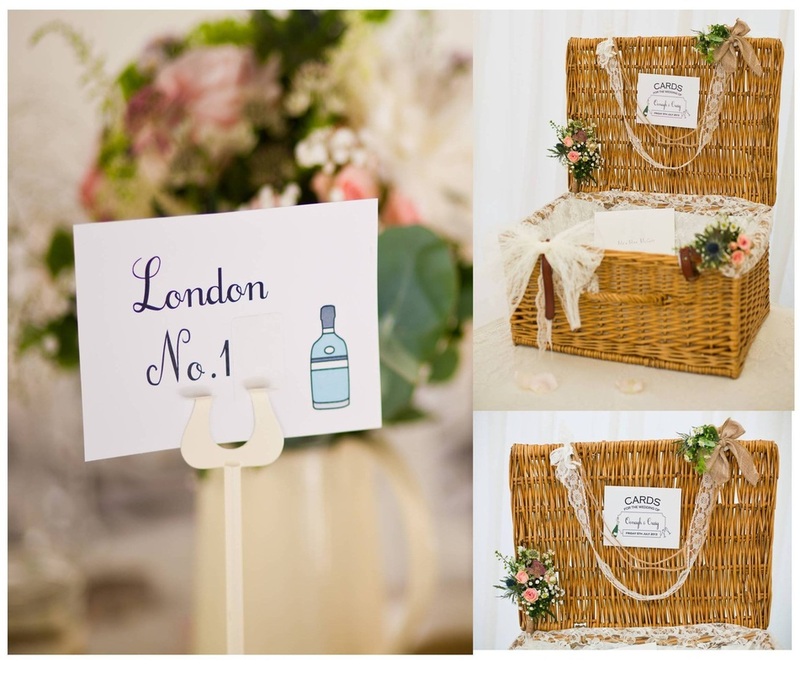 I also loved the idea of their table plan, each one named after a different type of gin! Definitely something I can appreciate, I urge you to join in, grab a G&T and take a look at this incredible day. The vision for the day: We wanted our wedding to be elegant, but relaxed. We wanted our family and friends to enjoy fabulous food and great music, in a beautiful setting. The Planning Process: We booked the Cathedral and the reception venue about 8 months before the big day…you wouldn’t believe how difficult it was to book both on the same day, even that far in advance! We really got going with organizing invitations, caterers, musicians and all the other details in the 4-6 months leading up to the wedding. 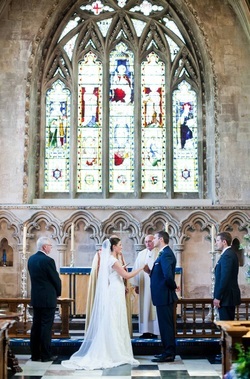 The Venue: The ceremony was held at the Cathedral and Abbey Church of St. Alban, St. Albans. 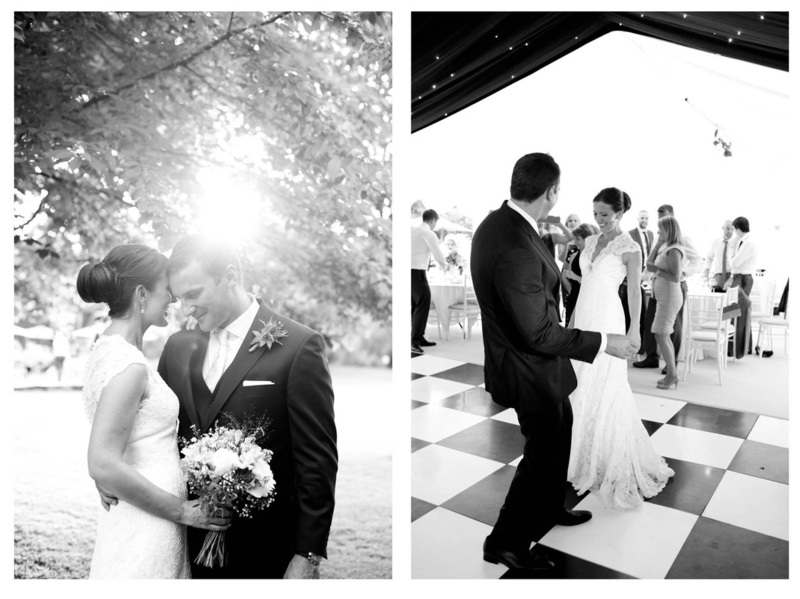 We had a marquee reception in a beautiful orchard setting nearby. 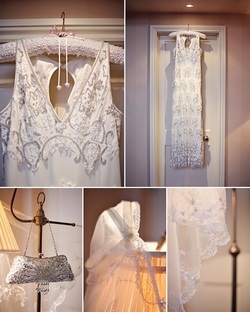 The Dress and Accessories: My dress and veil came were from Angelica Bridal in Islington. It was the first shop I went into and I decided on the dress there and then! 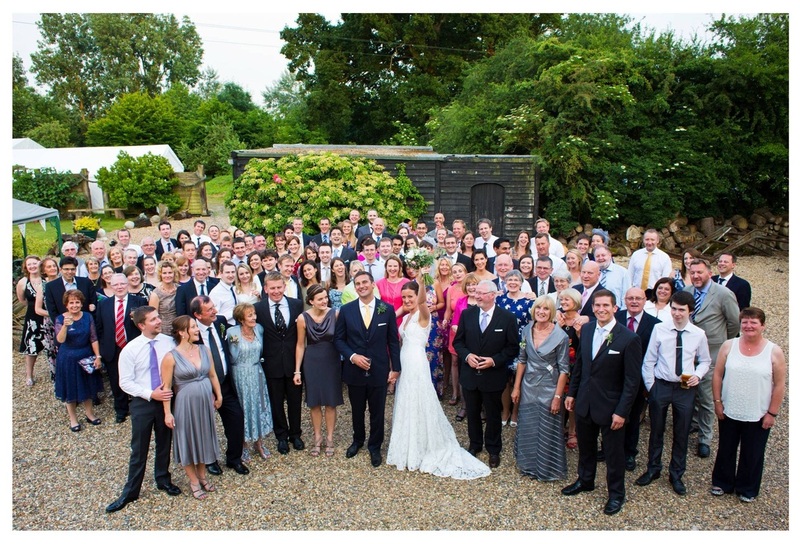 My shoes were from Rachel Simpson … I would recommend her shoes to any bride. I must’ve tried 20 pairs of shoes before I found mine. They were beautifully made and were incredibly comfortable, even after hours of dancing! 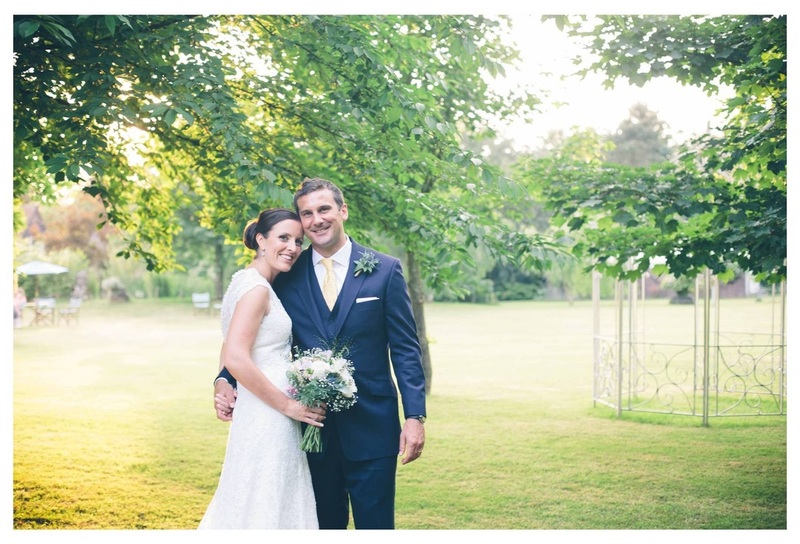 Grooms Attire:Bespoke 3 piece suit from Mathieson and Brooke Tailors (M&BT), Harpenden – the suit was beautifully made and the service was wonderful. Beautiful Bridesmaids: They were stunning and the best bridesmaids a girl could ask for! They were Emir (my sister) and Christine (Christine and her husband Andy were bridesmaid and groomsman – they are the mutual friends who first introduced Craig and I). Music and First Dance: Music was really important to us so we had two bands on the day. We were very lucky to have a beautiful, sunny day for our wedding. We had a champagne reception on the lawn accompanied by an acoustic folk band. In the evening our band played two sets of crowd-pleasing soul and rock n’ Roll from 1960s to current – the dance floor was full all night! Our first dance was ‘Songs of Love’ by ‘The Divine Comedy’ (which some people might recognize as the theme music from Father Ted!) – We both love THE Divine Comedy and this song was an easy choice for us. 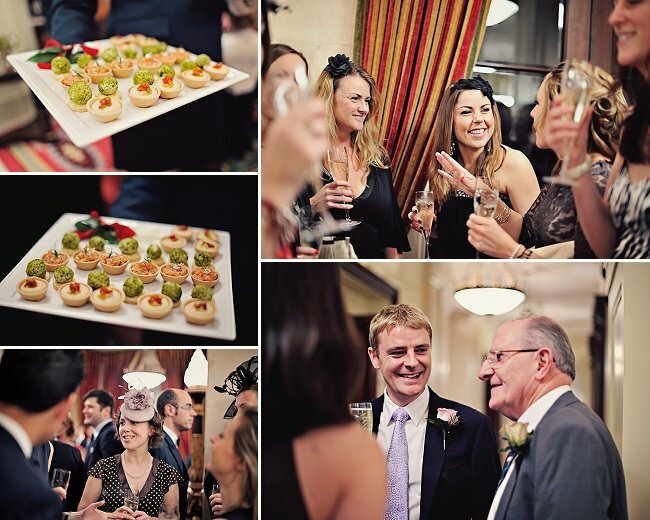 The Food: The food was such an important element of the day for us – we wanted it to be fantastic and our caterers didn’t let us down! Everything was barbecued and presented by rolling service to the tables with fresh, brightly coloured salads and warm, home-baked breads. The menu included monkfish, fillet steak, chicken, lamb, and some tasty vegetarian treats for our less carnivorous guests. We served strawberries and cream for pudding, which was perfect for a hot, summer’s day. 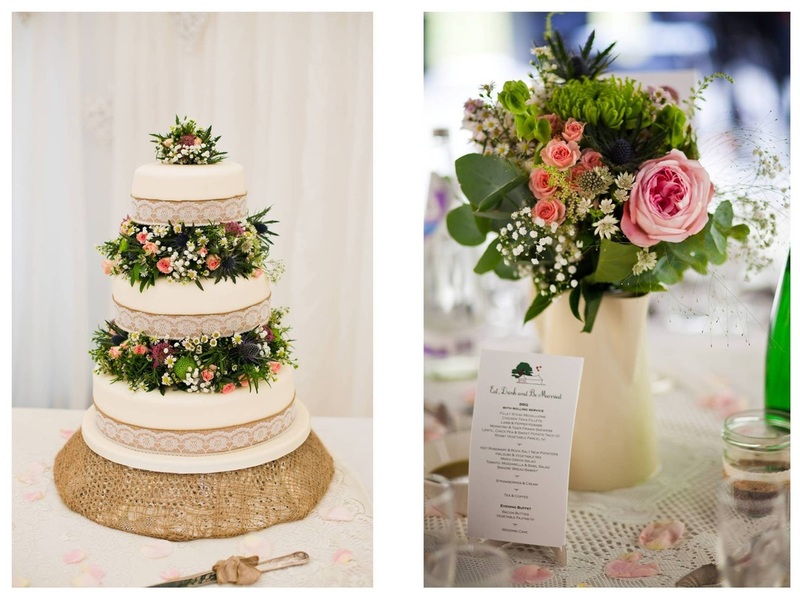 The flowers: We wanted the flowers to fit with the country garden setting so we opted for bright, seasonal blooms. We mixed peonies (my favourite) with thistles (to reflect Craig’s Scottish heritage) and shamrock (as I’m from Ireland) together with lots of wild flowers. Two very talented ladies (Craig’s mum, Heather and her friend Marion) created the table centre-pieces for the marquee and the ladies of St. Alban’s Abbey flower guild provided the arrangements for the Cathedral. The cake: We absolutely loved our wedding cake, which was made for us by Craig’s lovely friend Chrissie Smetham. We had three different tiers comprising lemon sponge, vanilla with fresh raspberries and a cherry-bakewell top layer. The cake was decorated with fresh flowers to match our theme and the final piece was a work of art …almost too good to eat (although we managed a piece or two, and it was delicious!). 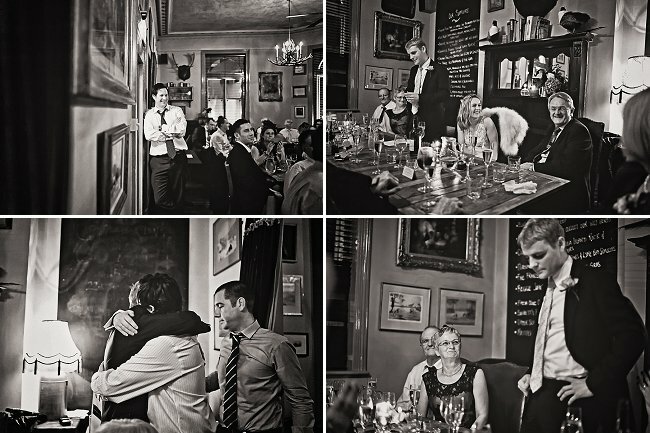 Your Photographer: We were also thrilled with our photographer, Hannah Mia, whose documentary style of wedding photography really captured the atmosphere of the day. We didn’t have many posed photos, just natural shots of our family and friends relaxing and enjoying the celebrations. The Details and Décor: We put a lot of work into the details and décor ourselves but the finishing touches were provided by Cute Maps who designed our table plans, table numbers and Menus and also by The Dream Wedding Company who helped with the table decorations, bunting, and the flowers for the cake. The same company provided the bouquets and buttonholes…each one was original and unique. The Honeymoon: We spent a wonderful week in a very sunny Cornwall. We were so lucky with the weather and spent most days on the beach. 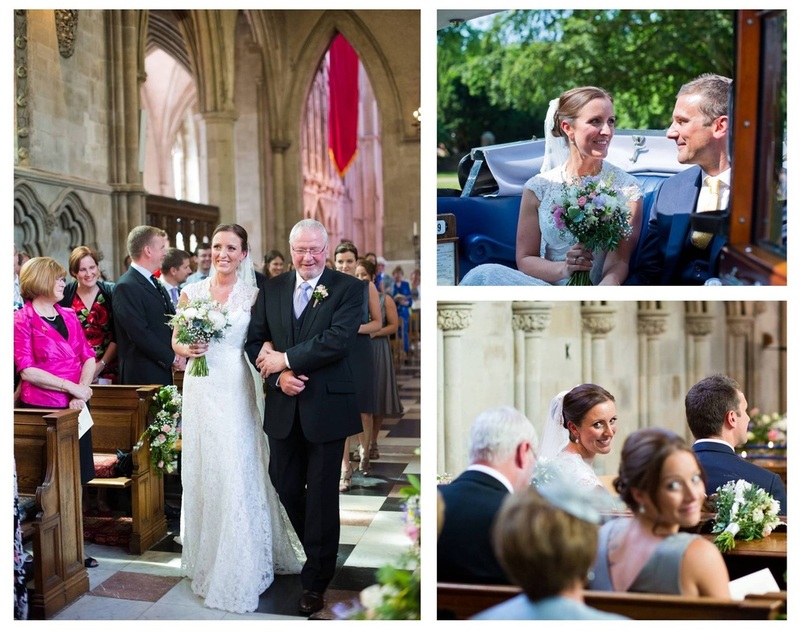 Memorable Moments: Our favourite part was the ceremony itself – the setting, The Lady Chapel in St Alban’s Cathedral was perfect. 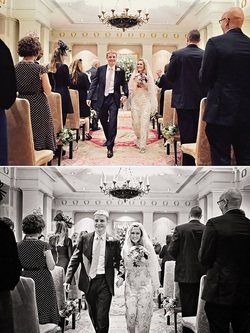 Walking down the aisle after the service to the sound of the cathedral bells was very special to us. We live very near the cathedral so we are fortunate to hear the bells every day, which is a lovely reminder of our wedding day. One of the funniest moments was when I threw my bouquet. My friend Sara came out of nowhere to successfully make the catch, momentarily forgetting that she is already happily married! A good natured wrestle ensued and most of the girls caught the bouquet for at least a moment. Finally, my favourite part of any wedding is the speeches and on the day my Uncle Johnny (who gave me away), Craig’s brother David (Best man) and of course Craig himself more than rose to occasion. We roared with laughter and most people shed a happy tear or two. Advice for other couples: When your big day arrives, try to relax and enjoy every moment! It’s true what they say…the day passes so quickly you won’t believe it. It was most definitely the best day of our lives! It’s the time of year when my main goal is to stay warm. At all times I need at least 60000 layers, ideally a hot water bottle and a plethora of hot drinks to choose from. Winter hibernation is not just for the squirrel my friend and the only acceptable reason to go out is the promise of mulled wine, a fire, hot chocolate or baileys…or to guarantee my presence all of the above. So WHAT am I meant to do for a winter wedding? Is a fleecy blanket an acceptable cover up? Do slipper socks go with those shoes? All important questions. 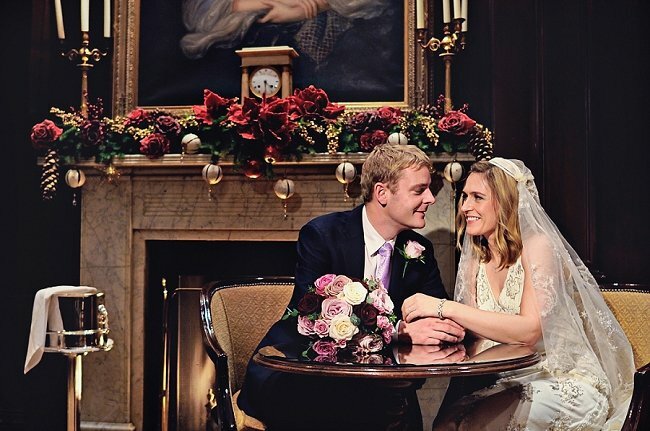 Winter weddings are becoming more and more popular, and it’s not hard to see why. Beautiful crisp days, festive merriment, holidays and perhaps even a sprinkling of snow. 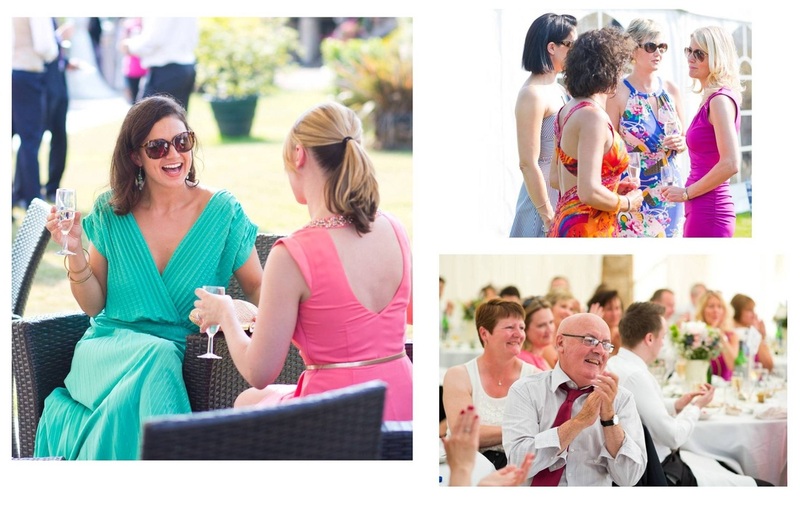 In fact given the British ‘summer’ doesn’t exactly lend itself to summer dressing, planning for your wedding to be cold and preparing your guests (and yourself) for practical clothing is a genius idea. Thankfully help is at hand! Fashion can sometimes be cruel but thankfully in this instance she has delivered beautifully giving us lots of practical and beautiful options for formal winter occasions.These beauties could also see you through many a Christmas party; Beautiful, chic and warm, it can be done! 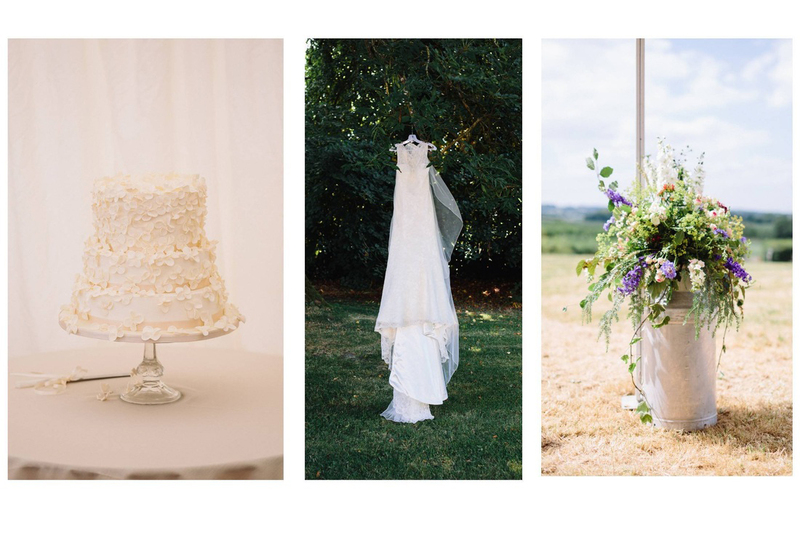 Welcome to our first ever featured wedding! An exciting occasion indeed and we had to get a very special wedding to kick off. Hugh and Adele got married in July this year in Old Wardour Castle, yes a CASTLE, in Tisbury Wiltshire. 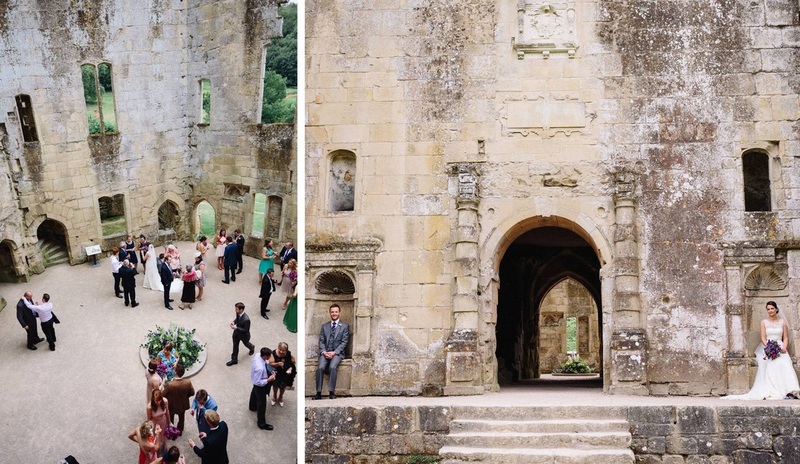 This gorgeous English heritage site with lush grounds and stunning views provided the perfect setting for their wedding. It’s so lovely to see their friends and family enjoying themselves and relaxing in such a stunning environment. 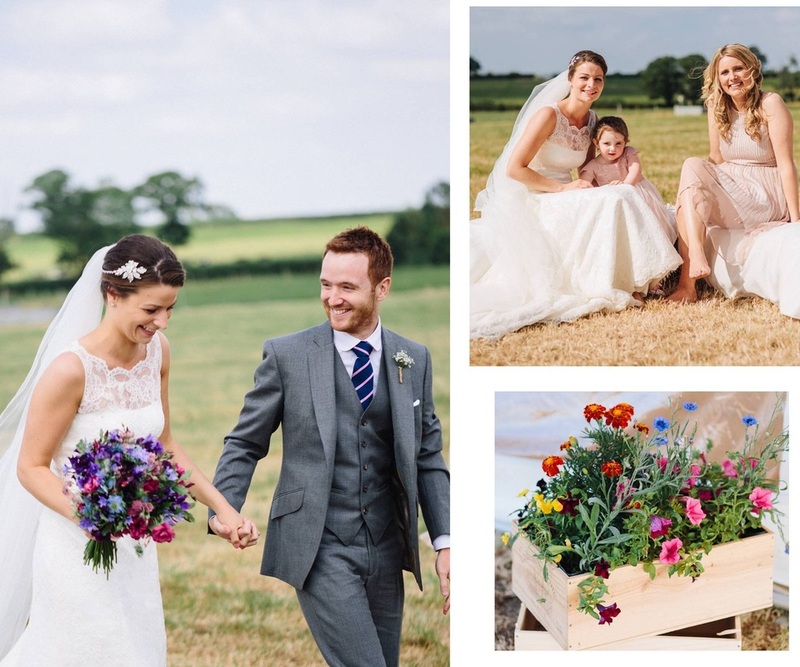 The reception took place at Hugh’s family farm; giving the whole day a perfect laid back theme complete with hay bales and a beautiful pop-up marquee. The family farm was also the basis of their fantastic Table Plan, each field representing a different table. Cute Maps were very excited when we heard this idea, and really think the finished product looked tremendous. Take a peek at the images below and let us know what you think! Their vision for the day completely shone through ‘Nice and relaxed with plenty of food and drink!’; the smiles on every ones face speak for themselves. Also, have to mention, their food sounded delicious! Mediterranean (amazing) and served on platters, literally the best form food can come in, in my opinion. 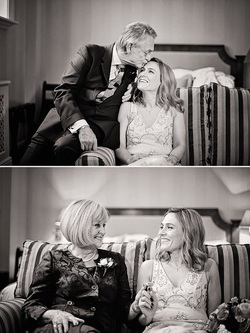 The day was captured beautifully by Lisa Dawn photography (www.lisadawn.co.uk) and looks absolutely stunning. 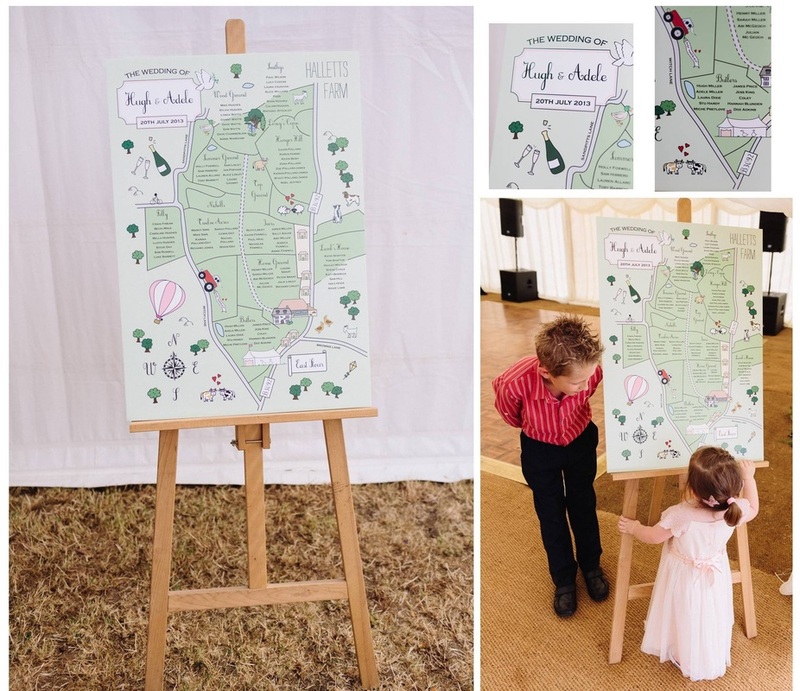 And of course the Cute Map table plan sets everything off beautifully. The vision for the day:Nice and relaxed with plenty of food and drink! The Planning Process:Lengthy….we got engaged in December 2011, so gave ourselves plenty of time to plan just what we wanted and ensure that all the suppliers that we wanted to use were available . The Food: Mediterranean-style sharing platters from Thyme After Time in Hazelbury Bryan near where we live – we wanted a really sociable atmosphere, so we decided to have individual sharing platters for each table, which worked really well. All homemade and Dorset sourced. We also had a hog roast in the evening to soak up some of the alcohol! The flowers: Bridal bouquet tied with vintage lace and broach. Bridesmaid’s bouquets were sweet peas tied with vintage pink velvet ribbon with a mother of pearl button. We wanted lots of colour and fragrance to the bouquets whilst all being very natural. Remainder of the flower arrangements at the castle and farm were colourful mixed garden flowers. Your Photographer: Lisa and Scott at Lisa Dawn Photography (www.lisadawn.co.uk) – these were the first people we booked for our wedding and did such an amazing job. Don’t let anyone talk you out of a decent photographer for your big day! The Details and Décor: We had a marquee in a field on the farm, so didn’t want to go over the top on decorations and tried to keep it simplistic and in-keeping with the farm environment. The same applied to the castle as it is such a naturally beautiful place, we actually had to do very little extra decorating. Memorable Moments: Walking down the field together and looking back at the marquee with everyone having such a great time – it’s always a great occasion when all your friends and family can come together like that and have such a fun time. Hugh’s parents for preparing the farm! Welcome to the Cute Maps Blog! Eggnog lattes are back, evenings are gone and I’ve spent many hours lusting after (and maybe buying) knitwear. Winter is here! And with it it brings a brand spanking new Cute Maps blog, designed to fill you in on everything going down at the cute maps hub, bringing you all the best in wedding inspiration and keeping you up to date on all things cute. 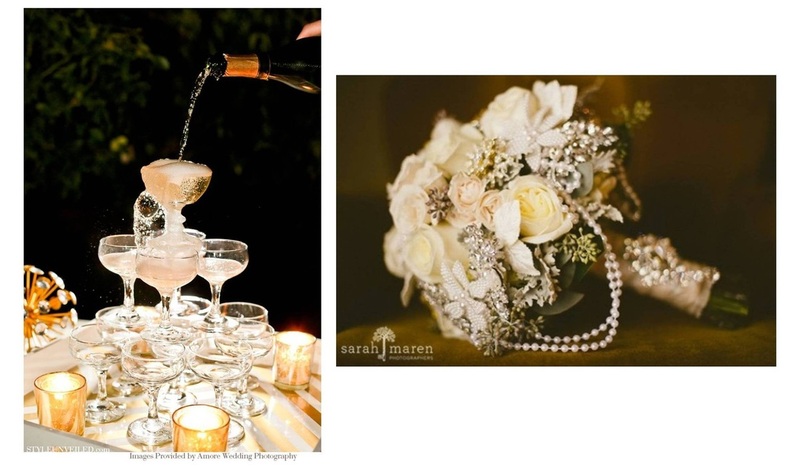 Decadent, extravagant, vintage style weddings have been catching my eye and with the discovery of pinterest I have captured all this wonder onto a board. 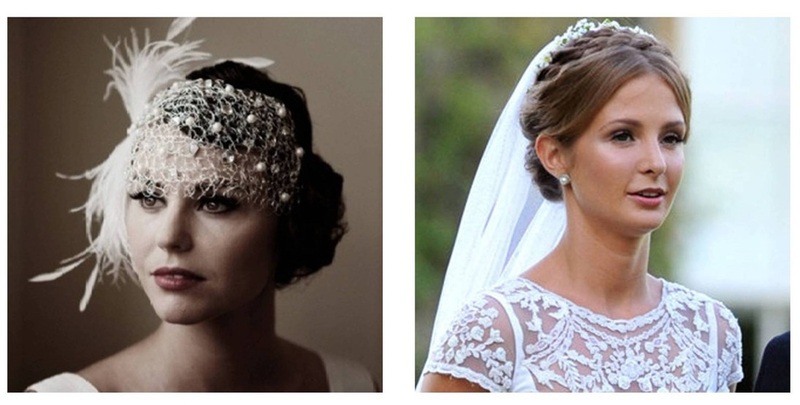 Chic headpieces, lace details and classic decorations all capture this old-timely vintage feel. While the boundless amounts of materials involved; beads, glass, sequins of stunning embellishment really keep it fresh and new. Everything glitters. I especially liked the idea of using vintage broaches instead of flowers for a bouquet; such a unique touch and much longer lasting that a standard bouquet; just be careful if you throw it, yikes! These musings have also and for the first time EVER had me dreaming about my perfect wedding dress; a beaded, twenties, vintage style creation…This is extremely dangerous, Gatsby inspired champagne fountains and wedding dresses are definitely not on my agenda. More likely a theme party with some classic Aldi cava; bubbles are bubbles right?